UPDATE: Our tenor, Ken Woods, turned in his letter of resignation in early December. We are looking for a replacement who is a Christian, number 1, and also has the love of gospel music in their heart. Contact Randy if you are interested in applying forthis position. Welcome to our website and thank you for stopping in for a visit! 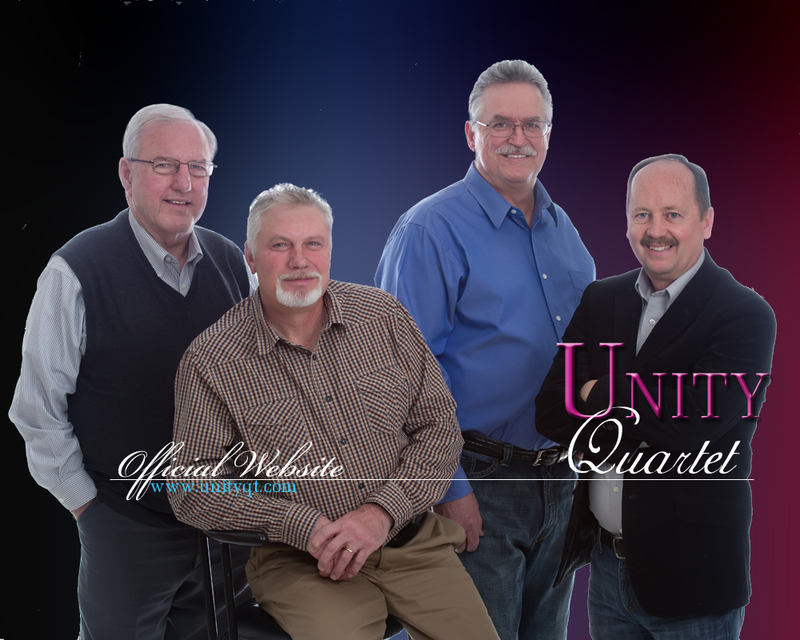 We are Unity Quartet from Scottsboro, Alabama, singing since November, 2005. The quartet name came from a message of a local pastor who explained what the word "Unity" meant, "You and I tied to the cross". After that message, we have been known as Unity Quartet ever since. We sincerely enjoy conveying the gospel in song wherever we go! Please take a moment to visit our new guestbook to let us know that you stopped by. You may view our archived guestbook here. We have all available projects, including our latest project, "Most Requested", available for purchase in our online store. We exclusively use PayPal Merchant Services. We also invite you to our photo gallery, where we have pictures from our concerts and behind the scenes. We have all of our projects available for purchase in our e-store, including our latest project "Most Requested". We exclusively use PayPal Merchant Services. We have a very useful Bible Scripture lookup tool provided by BibleGateway.com. You may enter any part or all of a passage, chapter, verse number, anything that pertains to the Bible and it will find it for you. If you enter just a book and chapter number range, it will return everything found within your search criteria. Keep up with the latest news from the Unity Quartet by clicking here. Copyright © 2014 Unity Quartet, all rights reserved. Site powered by BB Web Design Group.